It's Saturday here in Tasmania, the noises of the morning have just faded and our home is peaceful. When I am busy doing those everyday jobs I don't think about the background sounds but when everything stops and the washing machine finishes it's last spin, ahhh, silence and solitude. Thank you...now for a nice cup of tea and a seat in the garden. That is a kind thing to say Fifi, thanks. Your spirals always seem so perfect. 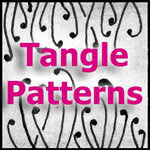 Do you freehand them or do you have some super secret method to make the guide? Andrea, I draw the spiral string freehand, some times they turn out better than others, this one came out quite well. The string is a guide so I tweak it a bit to suit the tangles. Just gorgeous, Shelly. Beautiful, and so detailed. I love the touches of colour you have used, especially the olive & orange tones in the pods - do you use markers for colouring these bigger areas? Thanks Helen, I use Faber-Castell PITT artist pens. Ahh, I just love your work... So delicate and flowing. It makes it look effortless (but I know that it is not!). Thanks for sharing it. It's always a pleasure to see a new Zia you made. This one is beautiful! Hope you have a lot of 'silence', I think it's so important to have that in your life. 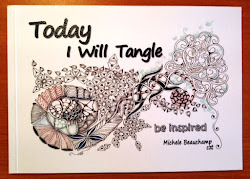 I am relatively new to tangling, only since February 2012, which happily a friend introduced to me, though I have been a teaching Calligrapher for over thirty years, but tangling and your beautiful ZIA designs draw me further and further into tangling. So far I have only been tangling on tiles, but one day hope to spread my wings and do a ZIA of my own. Thank you for sharing your creativity......you must be a "special soul" methinks. I live in Townsville, opposite end of Australia to where you are ! 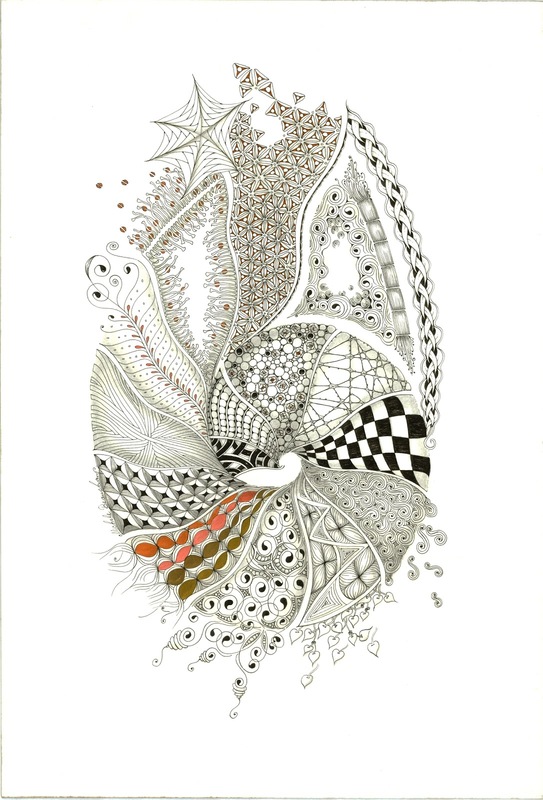 Thank you Sue, welcome to our world of Zentangle. Sharing is part of the enjoyment. We haven't been as far up as Townsville but it sure is on our list of places to go.